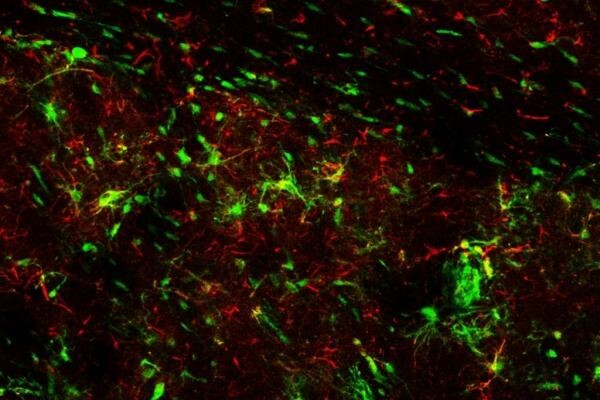 IRVINE, Calif., Oct. 15 (UPI) -- Neural stem cells transplanted into mice brains reduced impairments related to dementia with Lewy bodies, or DLB, researchers found in a study conducted at the University of California Irvine. Dementia with Lewy bodies, spherical masses of a protein called alpha-synuclein, impairs the function of neurons causing alteration to brain chemicals and neuronal communication, and eventual degeneration of the brain from brain cell death. DLB (Dementia with Lewy Bodies)the second most common form of dementia after Alzheimer's disease, plays a role in other forms of the condition, including Parkinson's and Huntington's -- which researchers hope neural stem cells could help treat. "Our experiments revealed that neural stem cells can enhance the function of both dopamine- and glutamate-producing neurons, coaxing the brain cells to connect and communicate more appropriately," said Natalie Goldberg, a doctoral student at the University of California Irvine, in a press release. "This, in turn, facilitates the recovery of both motor and cognitive function." 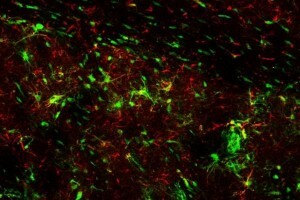 Researchers transplanted mouse neural stem cells into mice exhibiting signs of dementia. A month after the treatment, the mice who'd received it could run on a rotating rod and recognize objects better than untreated mice. A growth factor called brain-derived neurotrophic factor, or BDNF, is key to enhancing the function of dopamine- and glutamate-making neurons in the brain. The researchers tested this, finding that without BDNF improvement in cognitive decisions by the mice did not improve, and without the enhancing the function of both dopamine and glutamate in the brain improvements were not as drastic. "Many important questions remain before we could envision moving forward with early-stage trials [with humans]," said Mathew Blurton-Jones, an associate professor of neurobiology and behavior at UC Irvine. "For example, we'll need to identify and test human neural stem cells first." The study is published in Stem Cell Reports.